One drink we love in this house is green tea. We prefer it over water (is that even possible?!) and have at least 2-4 cups a day (and my cup is jumbo size!) But we are particular about what green tea we drink. A lot of our preference is based on taste, however, more recently we began to look at teas that have more nutritional and sustaining values to them. So I thought it was perfect when Kiss Me Organics contacted me to write a review on their product. We are big lovers of Genmaicha green tea (a Japanese green tea that is commonly served in Canadian sushi restaurants.) Thankfully, our favourite sushi restaurant allows us to buy the tea from them so we are often not without this delicious beverage. The brand we drink happens to have matcha in it, which brings me to today’s post: Organic Matcha Green Tea Powder. I was lucky enough to be given this product to use in my daily routine in exchange for an honest and thoughtful review on it. All thoughts towards this product are my honest opinion, as I would not recommend a product that I did not find 100% satisfactory. I was super excited to receive the product from Kiss Me Organics because we are familiar with a lot of green teas, and adding another one to our repertoire was just an added bonus. 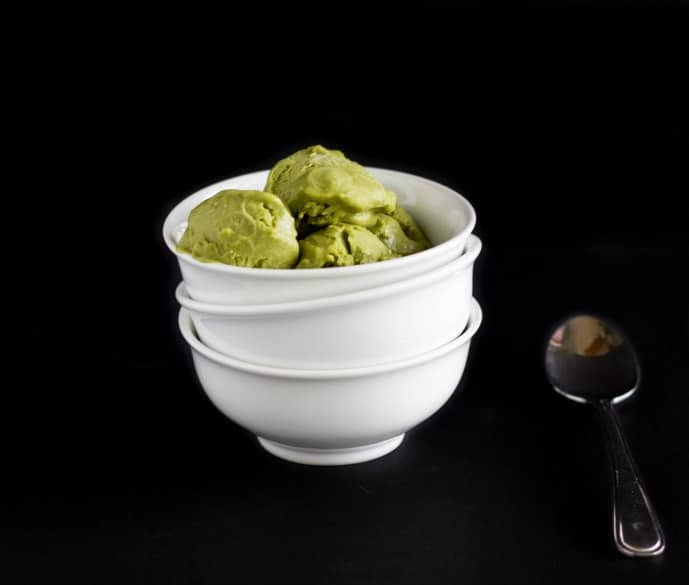 Even before the product arrived, I knew I wanted to make a green tea ice cream. 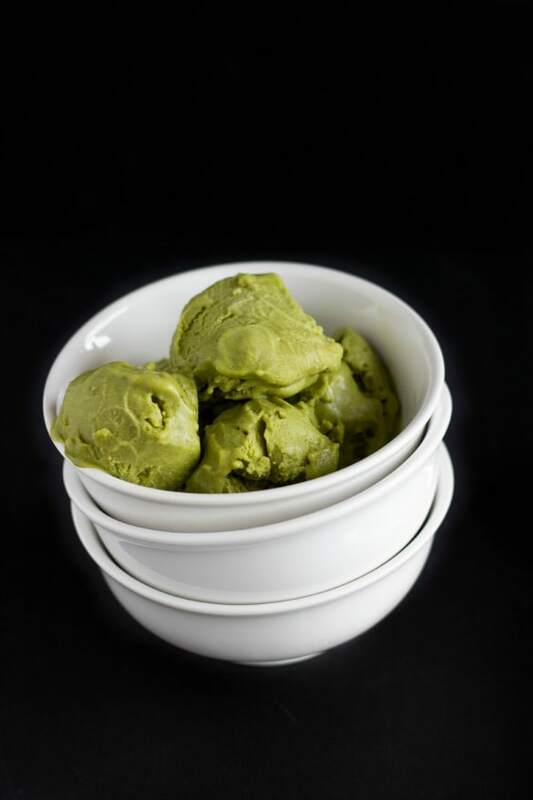 Amazing, considering the fact that I did not own an ice cream maker… However, the green tea ice cream found at Japanese restaurants is a weakness for me. 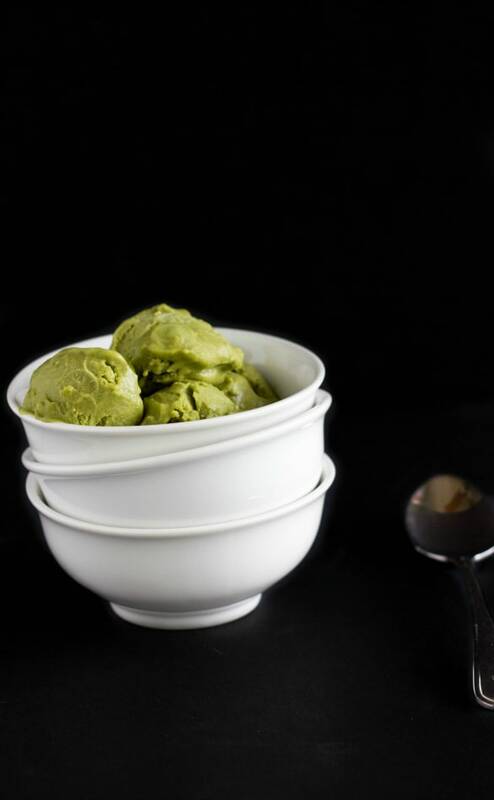 The flavour is bold and delicious, but it did not dawn on me that to make this type of ice cream, you would need to use matcha powder. When I received this product, I knew I had to get an ice cream maker. Thankfully, I was surprised with a Cuisinart ICE-30BCC Pure Indulgence(TM) Frozen Yogurt-Ice Cream & Sorbet Maker for mother’s day! 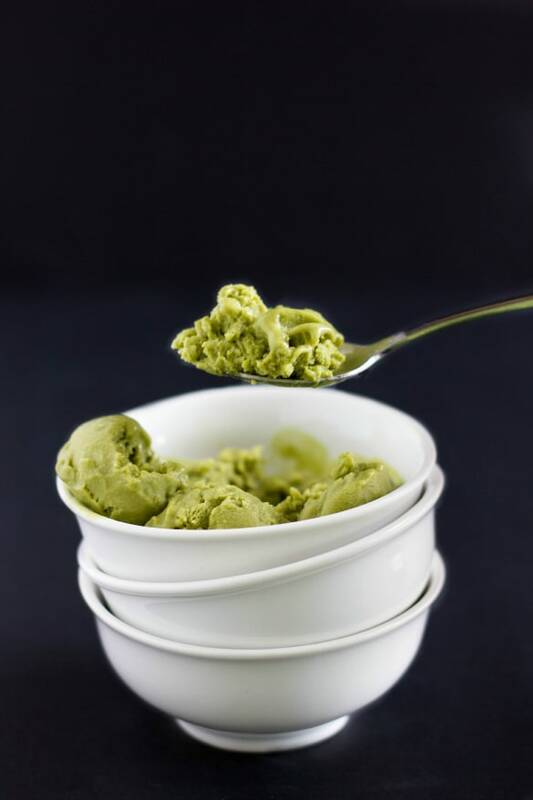 A delicious and easy vegan green tea ice cream using coconut milk and almond milk. The ice cream does freeze firmer than cream-based ice creams, so make sure you allow it to sit out 10-15 minutes before serving. Add the almond milk to a large measuring cup. Sprinkle in the cornstarch and whisk until there are no lumps. Set aside. *The almond milk should be nice and cold from the refrigerator. Pour the coconut milk into a small saucepan and add the sugar. Heat over medium-low and stir occasionally, waiting for the coconut milk to change in consistency (about 10 minutes.) You will see that the coconut milk and sugar no longer separate when stirred. When the coconut milk is quite warm (never allow it to boil or simmer), give the almond milk one last stir and pour it into the coconut milk. Allow the mixture to meld together over medium heat, but do not bring to a boil. Stir occasionally until the mixture thickens slightly. This recipe was exactly what I was looking for! It tastes almost identical to the ice cream I find at our local sushi restaurant. The only difference I can tell is that they make theirs with milk or cream, instead of going pure vegan. This recipe would work perfectly fine with cream and/or milk. Use 3 cups of cream in place of the coconut and almond milk, and perhaps add a splash of vanilla extract to the base. I used 2 tbsp. of matcha powder and found it created a very pleasant taste, not overpowering at all. 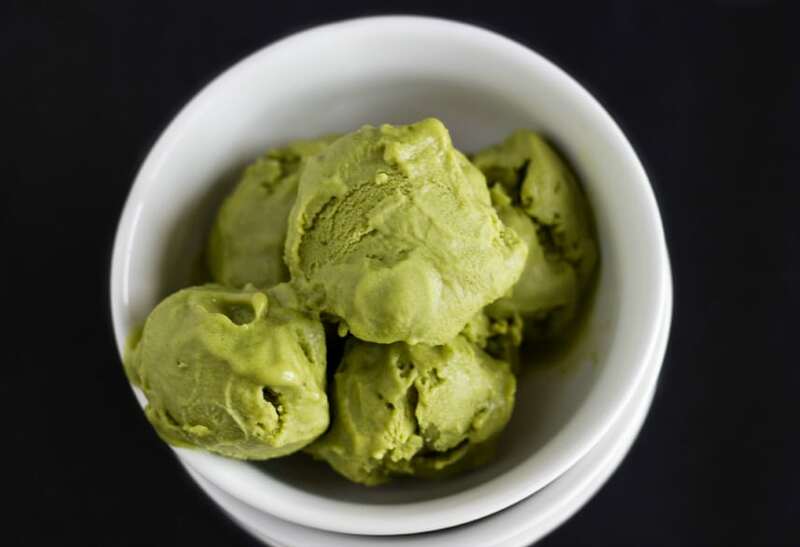 If using cream in your recipe, you may want to up the quantity of matcha powder. IS THERE ABY WAY TO MAKE THIS WITHOUT AN ICE CREAM MAKER? I have seen people have great success with banana nice (ice) cream. 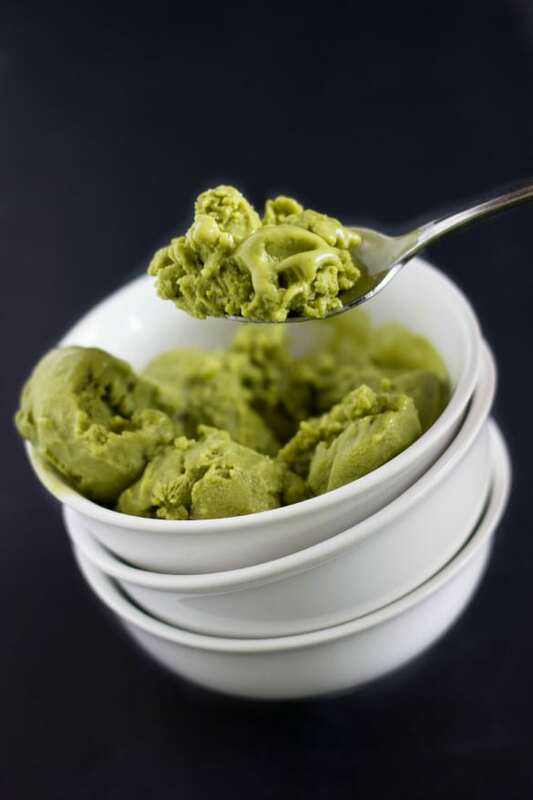 You can try my recipe with matcha powder, but otherwise, the only other way I can think of is the traditional ice cream mix in a bag and then placed in another bag with salt and ice so you are mixing it by hand. Kacey: Good recipe but I have modified it a bit. I doubled the recipe and whisked in 4 T of corn starch in 4 C of warm almond milk and 1/4C Stevia and a large pinch of fleur de sel. Added a can of coconut cream to what we had left of our light coconut milk. Added 4T of Matcha green tea. That sounds great, Bob. I will have to give it a try. The matcha green tea works well with the coconut, and for people who are not coconut fans, the matcha does a great job of masking the flavour.